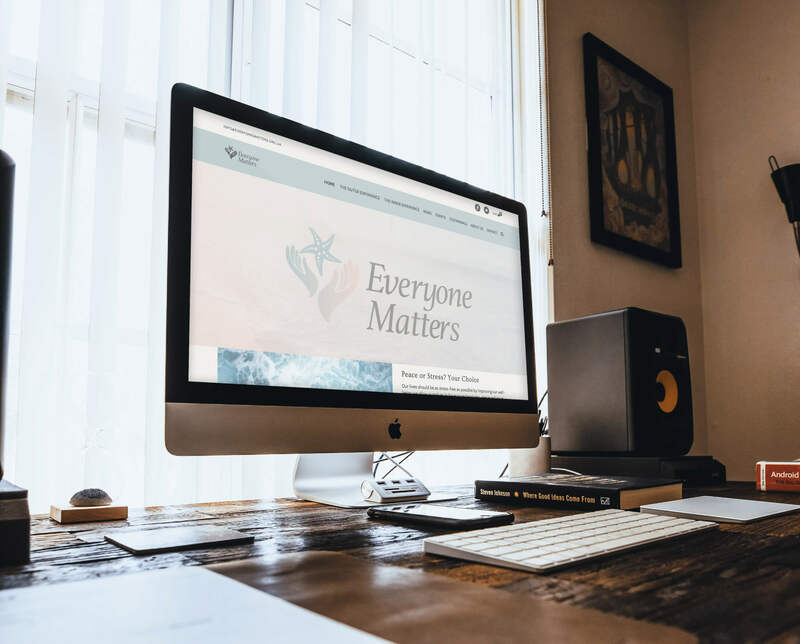 Everyone Matters is all about self-improvement and well being while creating the brand the colours were carefully selected to be calming but also facilitate learning and development. We wanted to elevate The everyone Matters brand above its competitors by using a very clean and simplistic design style. 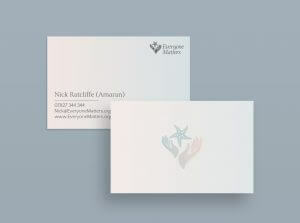 The use of white space adds to the calming effect of the colours and brings a level of elegance to the brand. 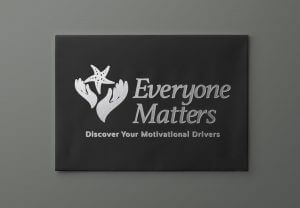 As part of the promotional collateral for Everyone Matters, nine motivation cards were designed and placed inside a black business card size envelope which was foil blocked with the logo. These are handed out at networking events and seminars to explain how the motivational map works. Alongside brand creation, we also designed and built the website. 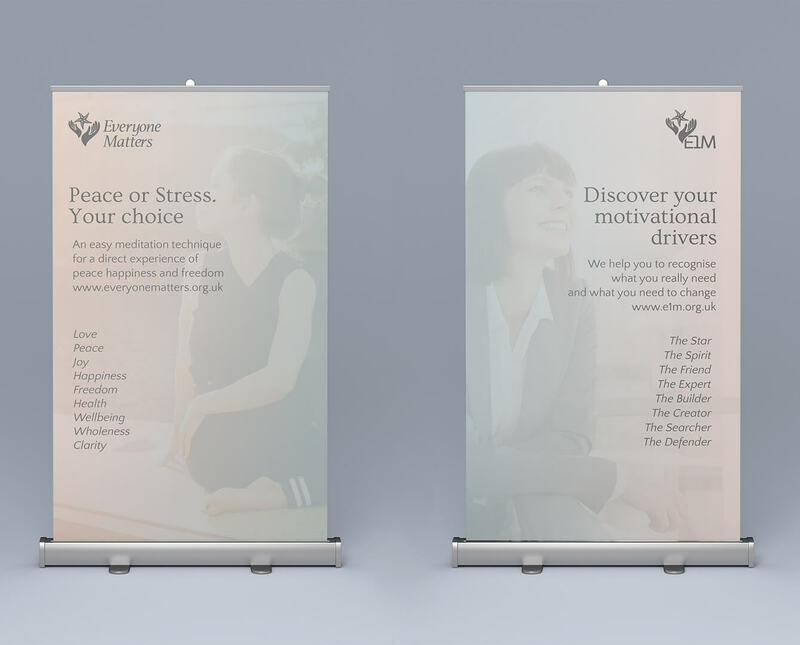 Spanning the two areas of the business, meditation and motivational maps. User experience mapping was key to the design phase of the website as we wanted to ensure that potential customers could get a feel for the brand before moving into the relevant area for them.